The holidays will be here before you know it! One of my favorite aspect of the holidays is having my family all in one place for chatting, catching up, and eating yummy food. And when it comes to food, I am queen of the appetizers! If it can be eaten with one hand it’s for me. Chips and dip, mini hand pies, and of course, meatballs! 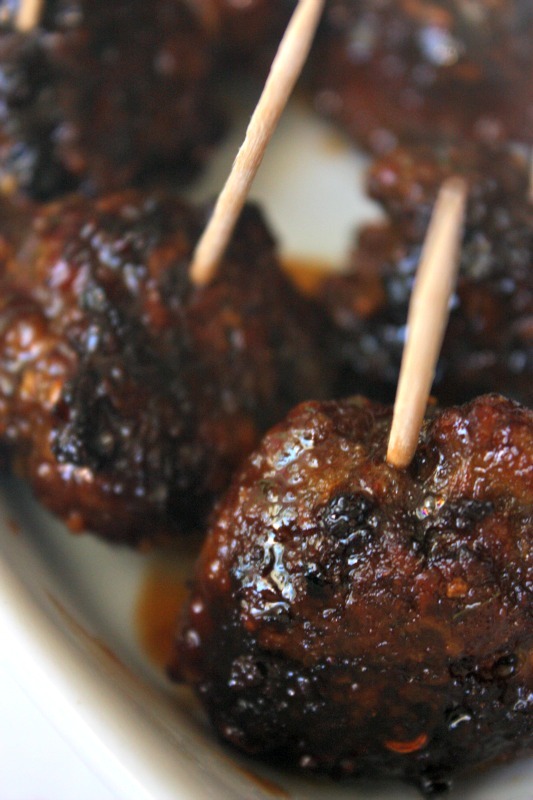 I love making different kinds of meatballs for a quick and easy appetizer. Once you get a good base recipe down, you can switch them up in so many different ways. Over the weekend I made a big batch of oven baked meatballs and used them 3 different ways. The recipe I’m about to show you, plus meatball subs and spaghetti. It was pretty exciting. This recipe I’m about to share with you has a great Asian flavor, is easy to make, and itt freezes well so you can make a big batch and use them all holiday season long. Let’s check it out shall we? Step 1: Preheat your oven to 425 degrees. 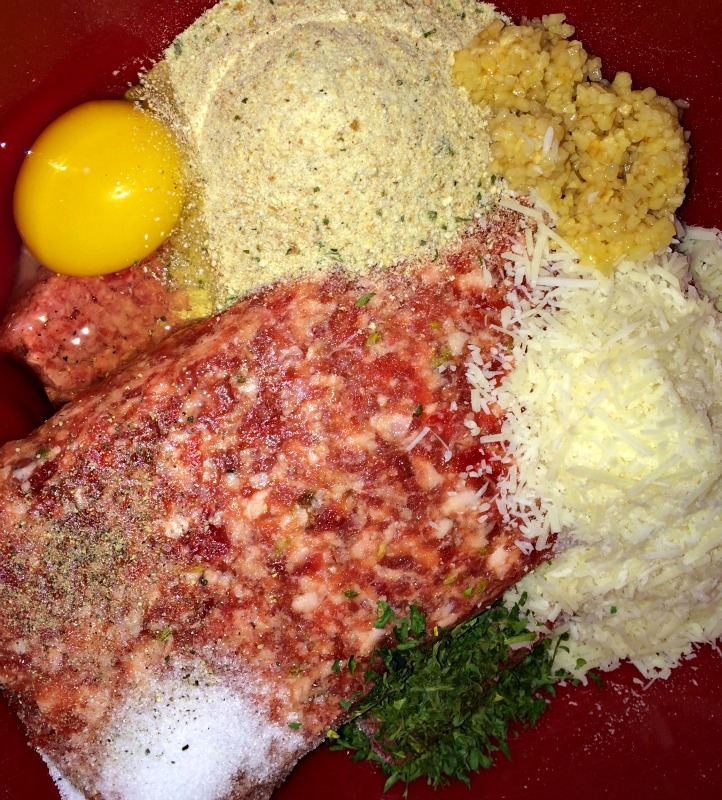 Mix all of your meatball ingredients until well combined. 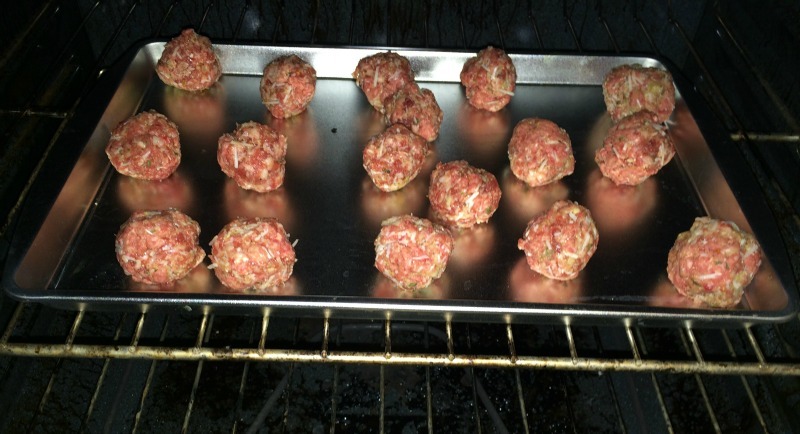 Step 2: Using your hands, form 2″ balls out of your meatball mix and place them on a cookie sheet. Step 3: Bake your meatballs at 425 degrees for 25-35 minutes or until done through the middle. Step 5: Grab some toothpicks, puncture your meatballs and try not to eat them all when transferring them to a plate. 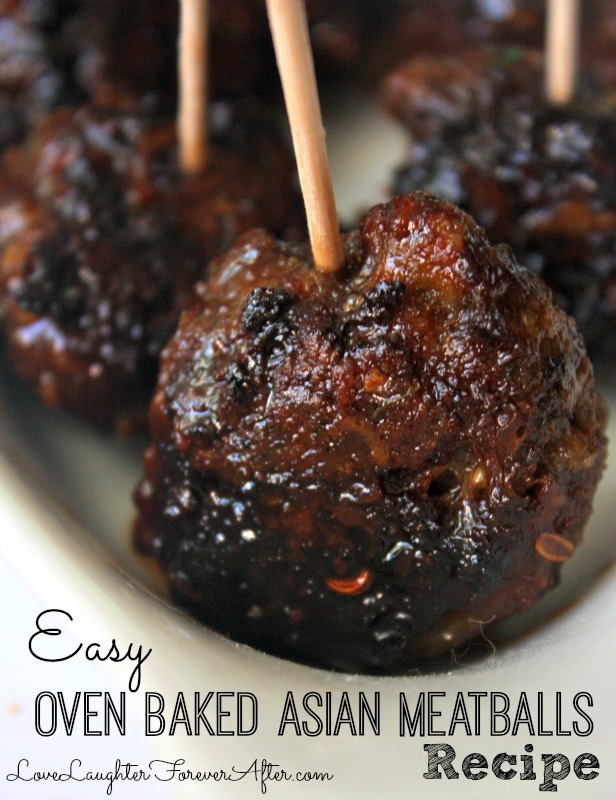 These Oven Baked Asian Meatballs are a family favorite, and I hope your family loves it as much as we do! I don’t know why, but I have never made them. Love them, and now I will make many! Thanks for the recipe!